The Array Cowl is finally done. The texture produced by the stitches is lovely. Even my boys commented on how nice it looked. 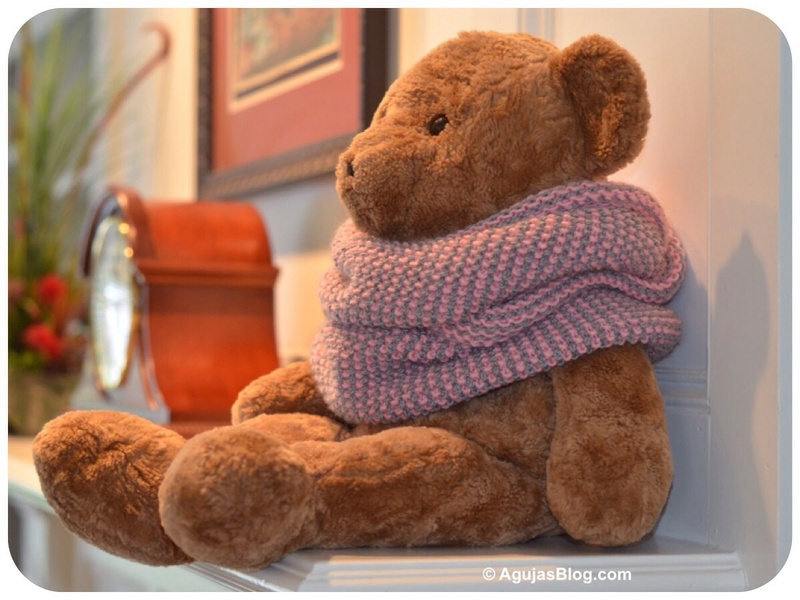 The pattern is free at Shibui Knits. I stayed loyal to my goal of using up my stash. 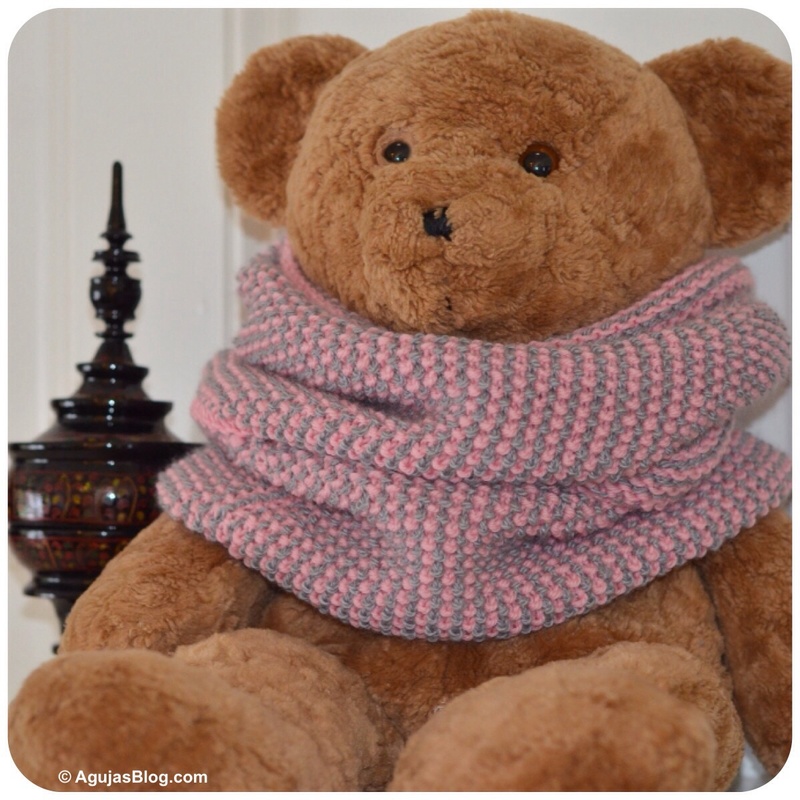 The pink and gray combination of wool, alpaca, cashmere and silk make this cowl soft and warm. 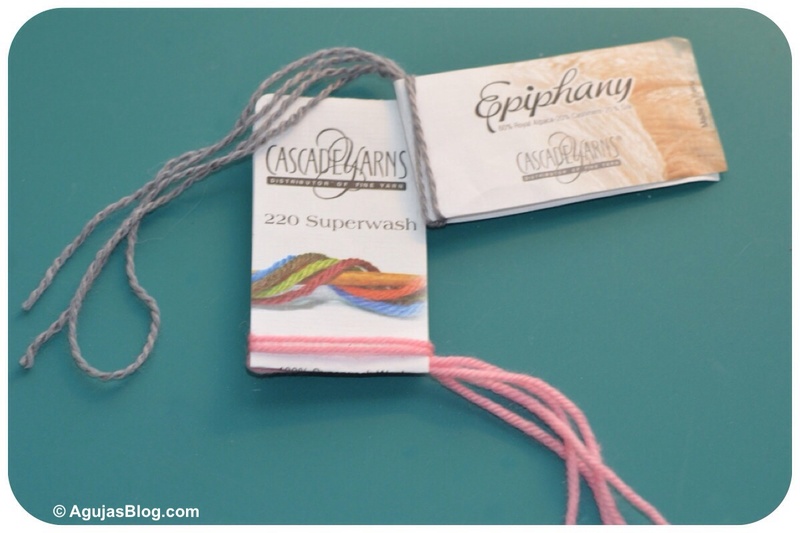 Here my labels are ready to go into my knitting notebook. Another shot of Bear wearing the cowl. This looks wonderful! 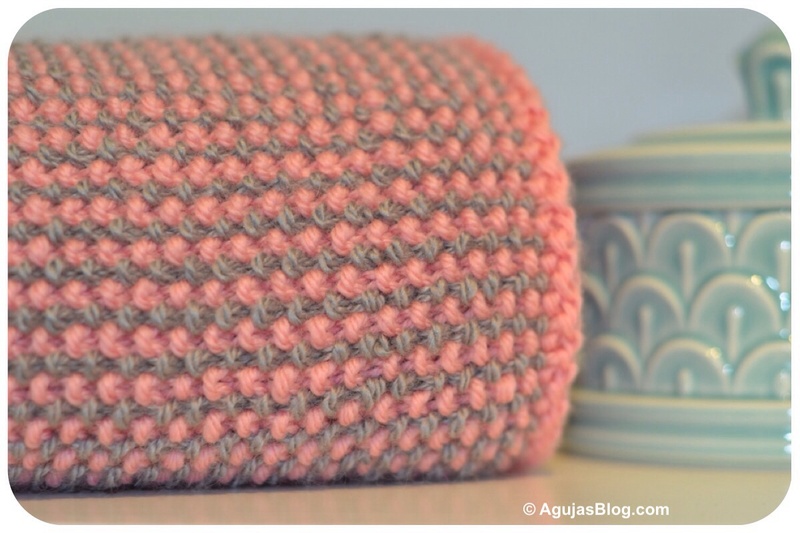 I love the combination of grey and pink, and the stitch pattern looks fascinating. Thanks. I also liked the idea of gray and pink, instead of red as shown in the pattern. I need to do a better job of keeping my ball bands for records. Your teddy bear looks fantastic in that cowl. Ah well I know that’s not quite what you wanted me to say so let’s correct. ‘You will look wonderful in that gorgeous cowl that teddy is borrowing and modelling!’ So pleased you are using your stash since I am doing the same i.e. using up my stash and I need encouragement. The worst of it, I find, is that I look at what I am making and think that an extra colour would be just right in there. Off I go to the wool shop to buy another ball and when my project is finished, guess what? I end up with more stash than I started with. There is no hope for stash collectors. My husband made the mistake of saying I had too much yarn. I immediately corrected him and told him that wasn’t possible. Grounds for divorce, that is. One never has enough yarn! Lovely stash buster! Didn’t anyone ever tell your husband, she with the most stash wins? They make such a cute pair. That cowl looks so cuddly and soft. Glad you liked it. I posted photos of my yarn notebook some time ago. It’s now a routine for me to add the label and some yarn to it. Thanks. I loved how the pink and gray came out together.